To get the most out of Coconut Oil, one must pick the right kind. While the home method my mom used I described earlier may already have beneficial effects, that process, which can be considered as hot-pressed, isn’t the ideal method to maximize the benefits of the coconut oil. Currently there are two kinds of coconut oil, the refined and the unrefined coconut oil. It’s correct to say that both types are refined to a certain degree. The refined coconut oil are extracted from copra which is initially not fit for consumption hence must go through refining, bleaching and deodorizing. The unrefined coconut oil are crude and extracted directly from a coconut not from copra. There is no refinement hence the name “pure” or “virgin” name for the coconut oil. The process retains its nutrients and natural taste. There used to be a time when virgin coconut oil was hard but now they are readily available int he market. 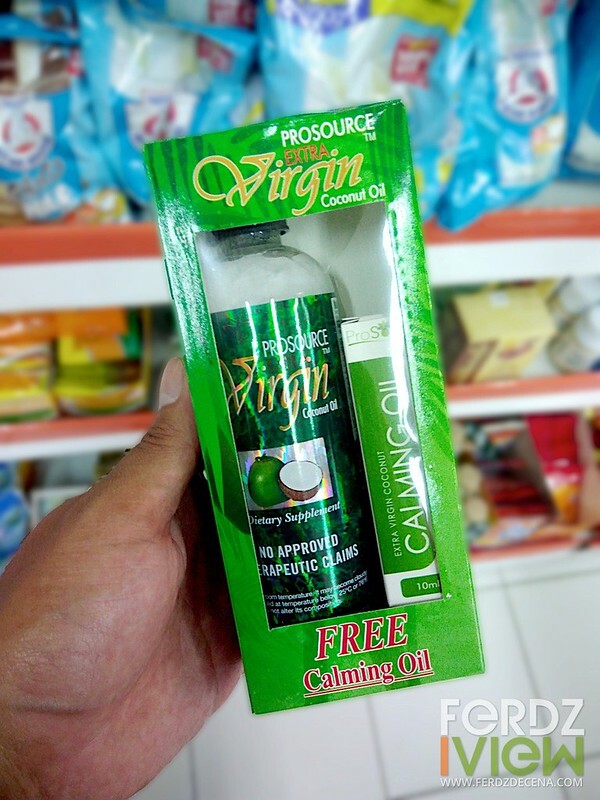 For quite sometime I’ve been buying the ProSource Virgin Coconut Oil. It is convenient and so far taste much better taken orally. 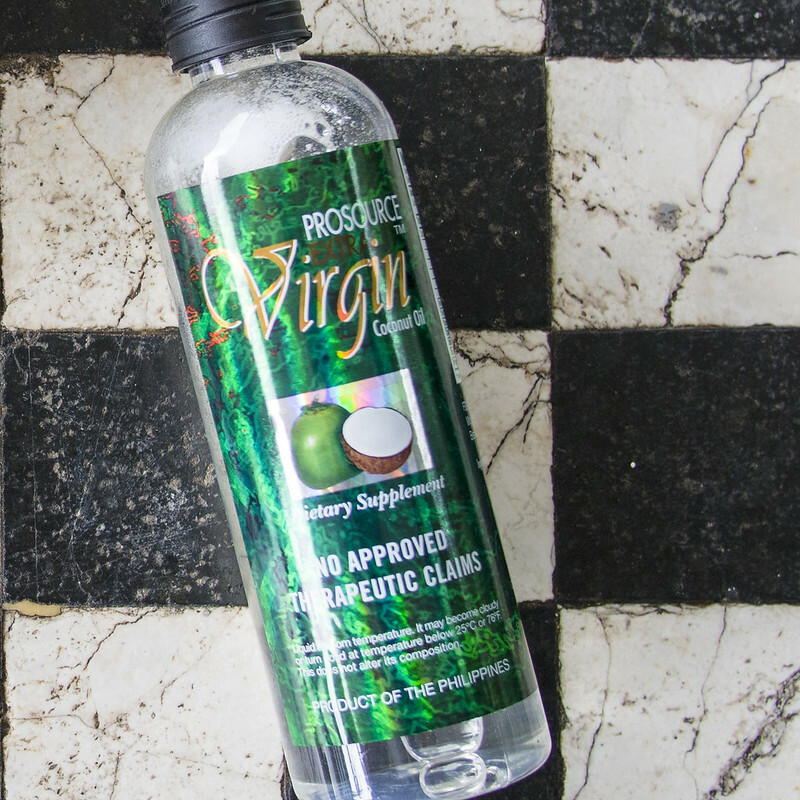 How can you tell if the Virgin Coconut Oil is of good quality? It is clear and colorless and when stored at cool temperature, it solidifies to pure white. It is no surprise that with all the benefits Virgin Coconut Oil has, it will be developed into other products. ProSource’s Calming Oil is probably the most handy for a traveler like me. 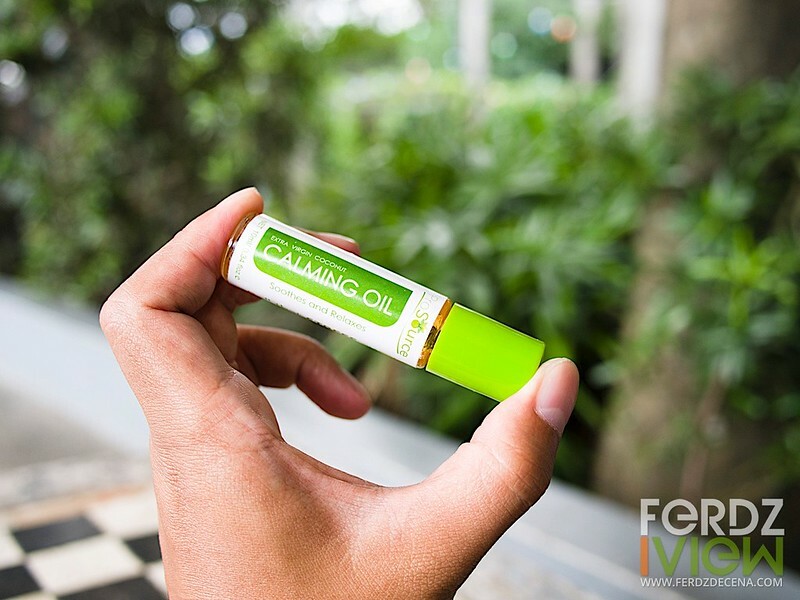 This small roll-on stick contains a mixture of virgin coconut oil, ginger, lavender, eucalyptus and menthol. I like the form factor as it is spill-free and easy to apply. The aroma is soothing and the cool sensation is relaxing not burning. It’s good for headaches, joint pains, muscle pains, stomach gas, dizziness, motion sickness as well as a relief for colds and coughs. I do hope they release a large bottled version for home use or for massage. 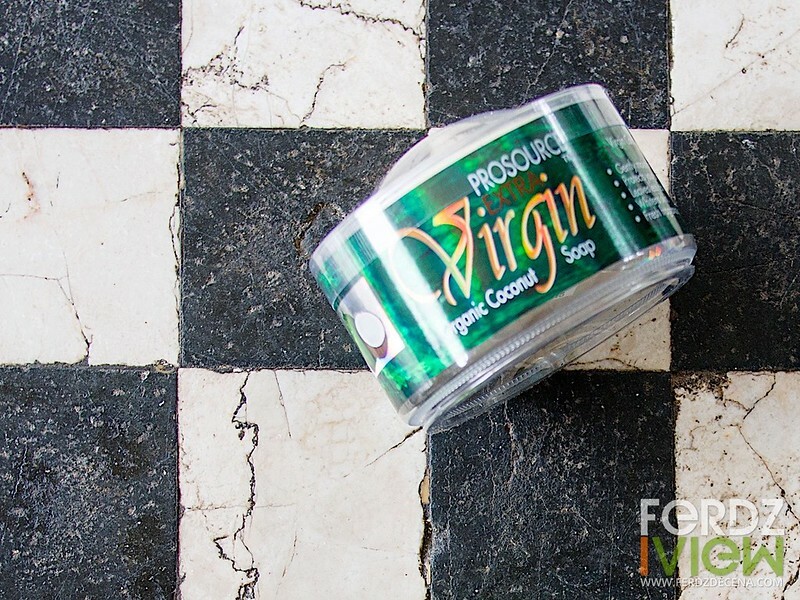 ProSource also handcrafted their new Virgin Coconut Soap enriched with aloe vera. The soap is easy to foam and feels good on the skin making it somehow supple. On the face, I like that it doesn’t have that tightness and dryness after washing. Just keep it on a cool dry soap dish as it is quite easy to dissolve. It just goes to show that it doesn’t have chemicals to keep it together longer. On regular use, the soap helps nourish skin, protect it from bacteria and UV rays, whitens and has that natural fragrance. ProSource Virgin Coconut Oil, are available at Mercury Drug (Php 199) and Watsons (Php 204) South Star Drug stores, Robinsons Supermarket, Puregold, Pioneer Center, Landmark and other leading supermarket nationwide. The Virgin Coconut Soap with aloe vera is available for Php 85. Currently, the Calming Oil is bundled with every VCO.